The Museum at FIT is currently showing an exhibition that examines the relationship between fashion and its own history. The exhibit is called RetroSpective, and it is on view at The Museum of FIT in New York City until November 16, 2013. RetroSpective features examples from revivals of 1940s fashion, particularly from the 1970s, as well as designer adaptions of the styles popular in the 1950s and 1960s. The exhibition concludes with fashions that reference the last two decades of the twentieth century. 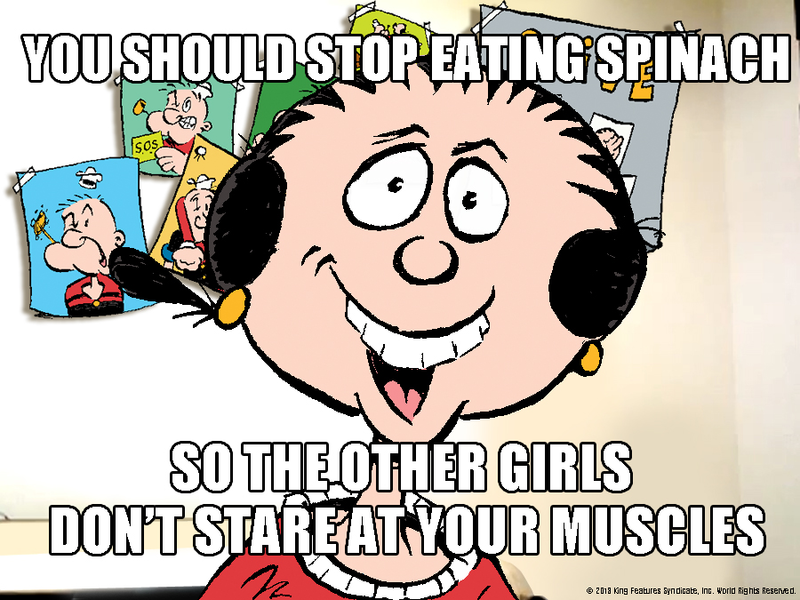 Olive Oyl as “Overly Attached Girlfriend”! 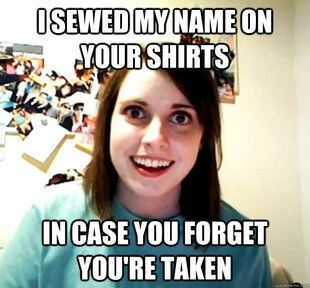 Of course, who wouldn’t be an overly attached girlfriend when you have the world’s most famous sailor as your man?! 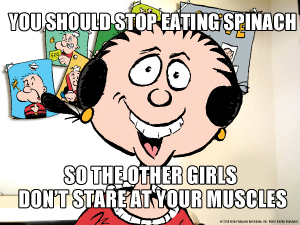 What other memes would you like to see me drawn as? Put your ideas in the comments after you check out some more “Overly Attached Girlfriend” scenes below! And don’t forget to follow me on Facebook and Twitter so you don’t miss any of the fun.